Have you ever wanted to just “get away from it all” – escape the rat race, and un-plug from chaotic daily life? 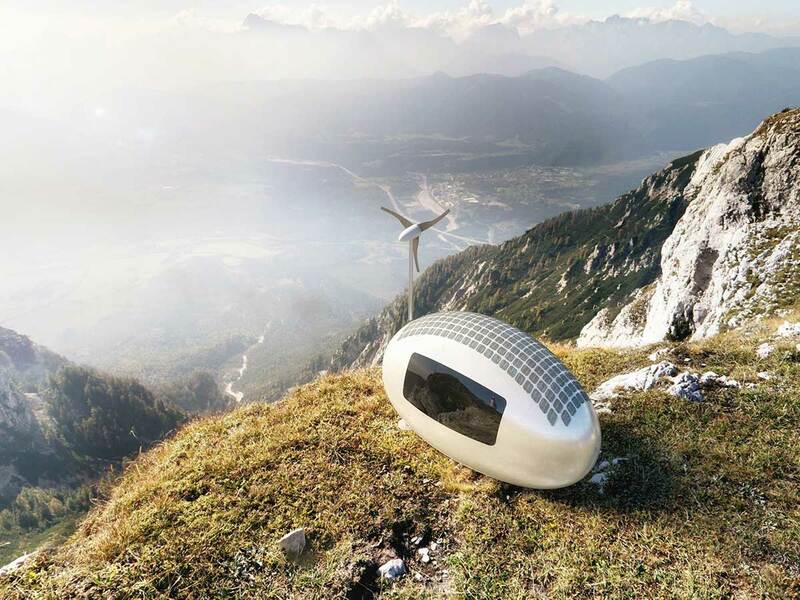 Well, the Ecocapsule, from the Slovakian firm Nice Architects, may have you covered. Not only does this super-cool, low-energy compact home combine elements of retro Airstream coolness with 22nd Century Jetson’s design – but it will pretty much go wherever you want to go as well. 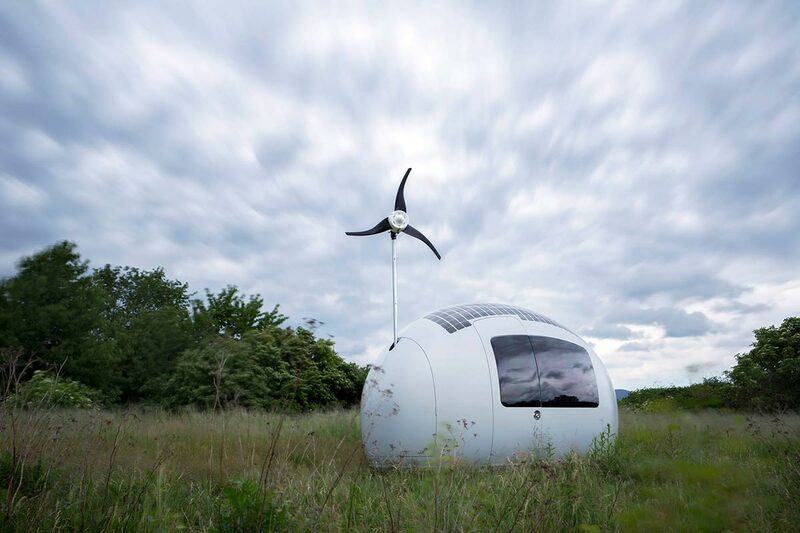 The Ecocapsule comes fully ready for one to harness all that nature has to offer – a 750 watt wind turbine and a 600 watt photo voltaic rooftop solar array all funnel power into a battery system capable of storing 9744Wh. Additionally, the unique egg-shaped structure allows for excellent drainage so that rainwater and dew can be funneled directly into the Ecocapsule’s built-in water filtration system. 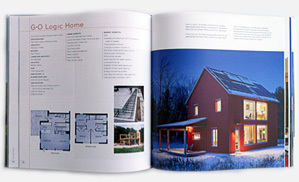 These nearly self-sufficient living modules are perfect for many conditions where off-grid living may be the only answer. 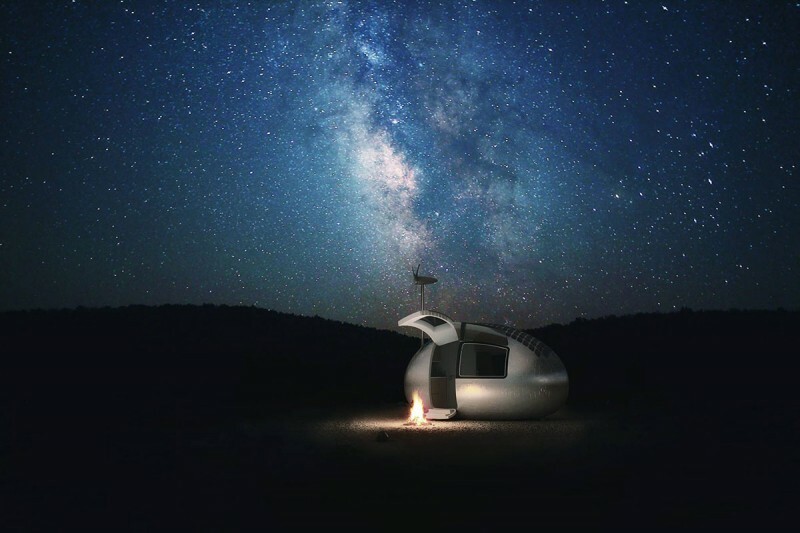 While the Ecocapsule seems diminutive in scale, don’t let the small size discourage, as indoors, there’s everything one needs (and at arms length for that matter). The gullwing door opens into a small entry area, with a kitchenette to the left, a toilet and shower straight-ahead, and sleeping, dining, and working areas off to the right. That’s it – a no frills, well-utilized floor plan. 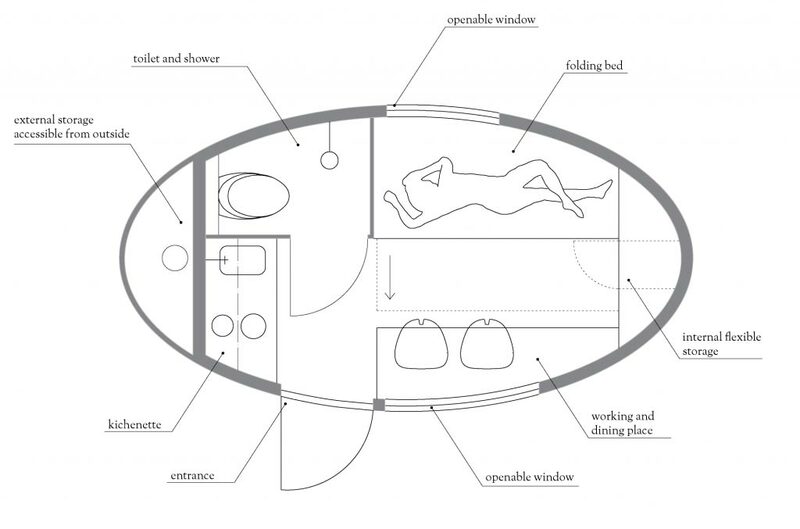 The Ecocapsule, being purpose-built, allows occupants (up to two comfortably) the luxury of feeling right at home; with a flushing toilet, folding bed, and hidden storage areas, one will rarely feel as though they’re “roughing it”. 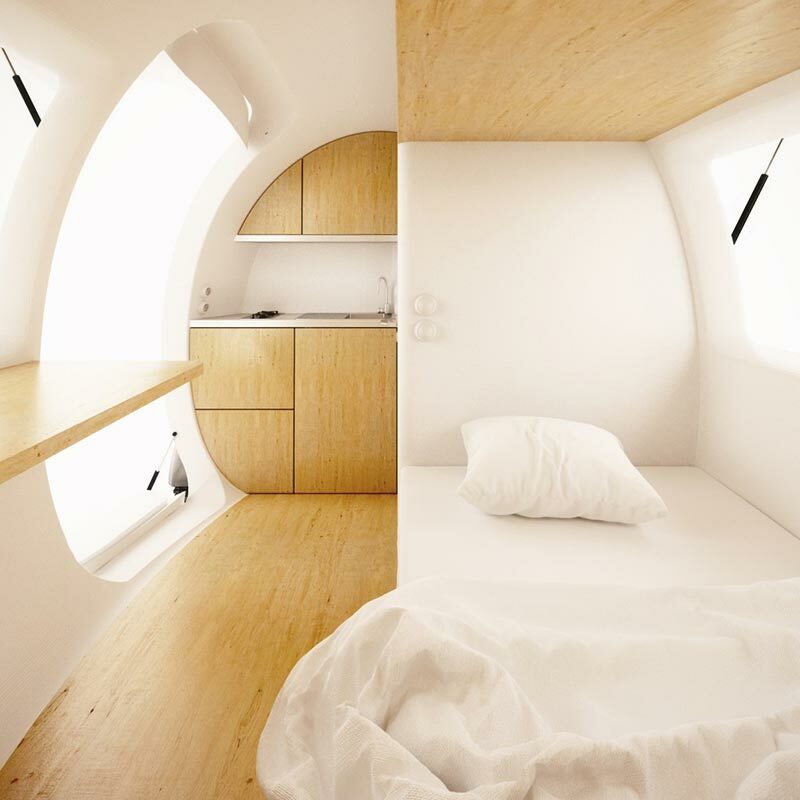 A simple selection of wood accents or granite-look finishes can compliment the simple, neutral color scheme, adding an element of airiness and spaciousness to the Ecocapsule.